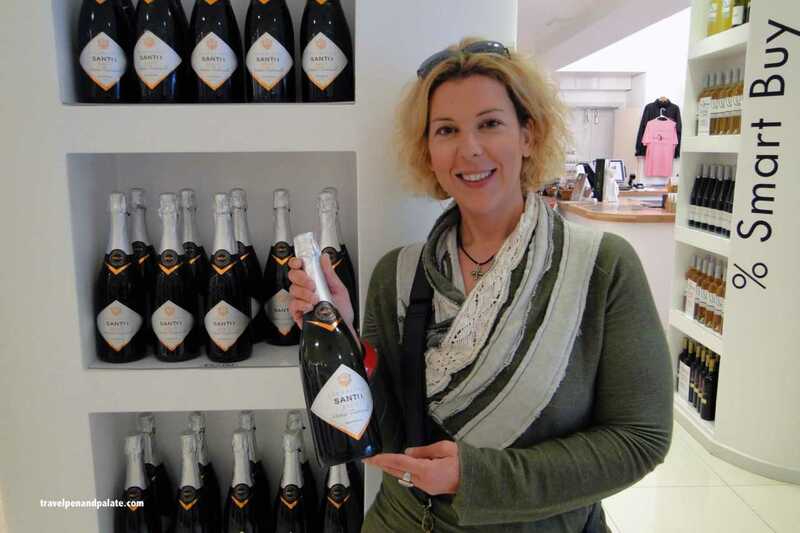 “…to preserve the cultivation of land and overcome the challenge of rapid touristic development that leads to the abandonment of land cultivation.” Stela Kasiola, marketing manager for Santo Wines, Santorini, Greece. 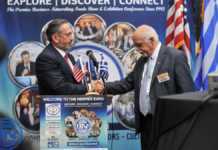 To this end the Union of Santorini Cooperatives has under its umbrella over 17% of the most tourist developed island in Greece: 3,200 acres of vineyard, 600 acres of Santorini fava beans and 125 acres of Santorini tomato farms. 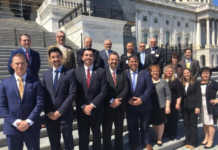 The Union and Santo Wines are committed to promoting ISO, IFS and PDO international standards holding European Union certificates in all areas protecting food safety, quality and indigenous agricultural products. Founded in 1947 after the devastating effects of war on Greek agricultural production, the Santo brand means more than wine. The Union of Santorini Cooperatives is the largest farm co-op on the island with approximately 2,500 members as well as its biggest wine producer. The volcano that blew Santorini into history 3,500 years ago created a soil that produces the driest white wines and the finest dessert wine this chef has ever had moisten his palate. They ought to be on the list of every Michelin starred restaurant. Couple this taste sensation with iconic views of the Aegean overlooking that still active volcano and no IMAX movie can equal an afternoon at Santo Wines. is carried out in the cooperative’s nursery so that Santorini vineyards remain true to the native varietals and maintain traditional organic cultivation methods. 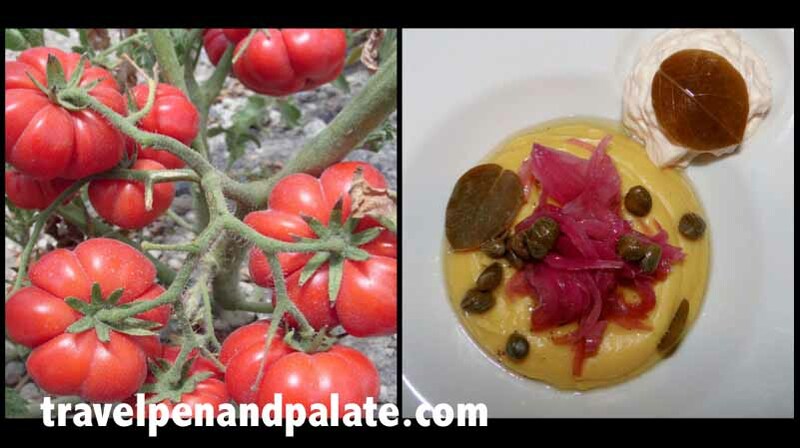 The unique Santorini fava bean, the main ingredient in one of Greece’s most famous mezedaes, and the intensely flavored Santorini tomato are as precious as the island’s indigenous 3,500-year-old assyrtiko and marvrotragano grapes. There’s evidence that the ancient island of Thira, as Santorini was known four millenniums ago when part of Crete’s legendary Minoan civilization, had always been an agricultural powerhouse. Archaeologists unearthing the remarkably preserved ruins of Akrotiri have documented evidence of the rich life on this island prior to the massive volcanic explosion that destroyed the first great Hellenic state. Approaching Santorini by ship a visitor is first struck by the sheer size and beauty of its cliffs with towns towering hundreds of feet above the Aegean and then by the dry volcanic landscape nearly devoid of trees. Yet a combination of natural forces created ideal conditions for agricultural products that are sought after throughout Greece. Sitting on the expansive terrace at Santo Wines on the edge of a cliff, the hot dry daytime temperature shifts to cool as dusk settles over the island. Misty clouds form suddenly swirling up the cliffs and envelop the terrace in a light fog. 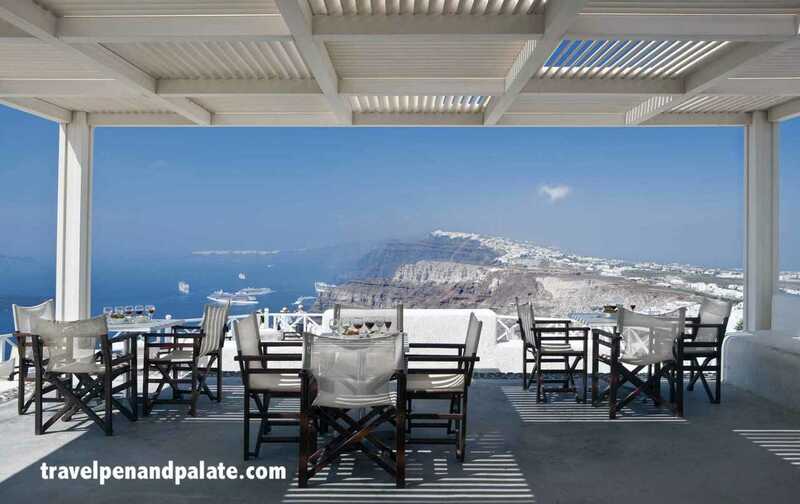 The rocky volcanic cliffs and soil radiate the hot daytime temperatures on Santorini. Yet surrounded by the Aegean Sea the humidity level remains high. At dusk and during the overnight the humidity condenses into the mist that rises up nearly 1,000 foot high cliffs creating fog-like conditions that irrigate plant life despite an average annual rainfall of only a few inches. 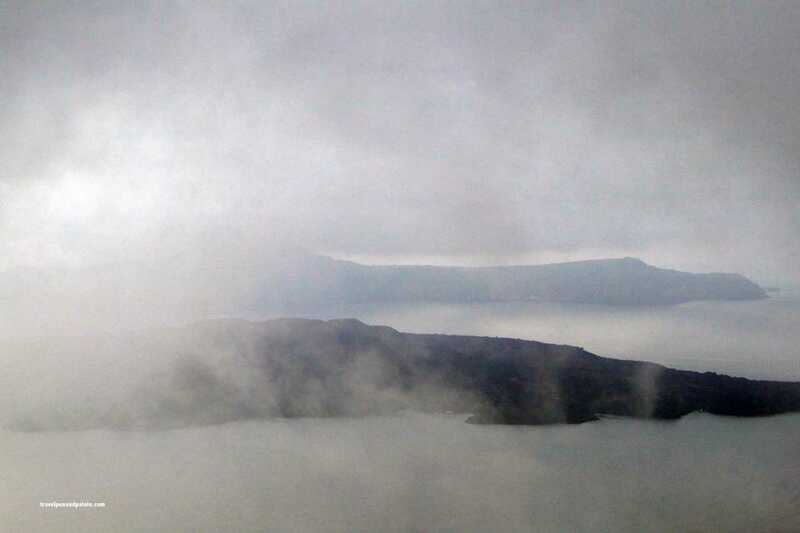 “The humidity and mist keep the island from being a desert,” says Stela Kasiola. The Santorini tomato is small. Its thick skin protects a velvety firm flesh concentrating the natural sugars to produce a fruit with intense aromas and a sweet taste. The Santorini fava bean has a high nutritional value rich in proteins – 20% protein per 100 grams. Wild caper is a bush that grows in the gaps of rock walls and outcroppings. High in vitamns and antioxidants, both the berry and the leaves have intense flavor and are preserved. And the famous white eggplant of Santorini requires little water. 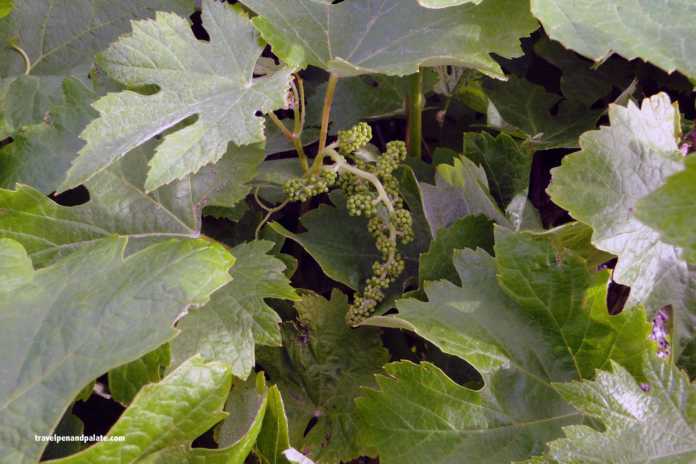 Terrace farming, pezoules, has been the method of choice in many Mediterranean climates. It conserves nutrient poor mountain soil from erosion while minimizing moisture evaporation due to wind. 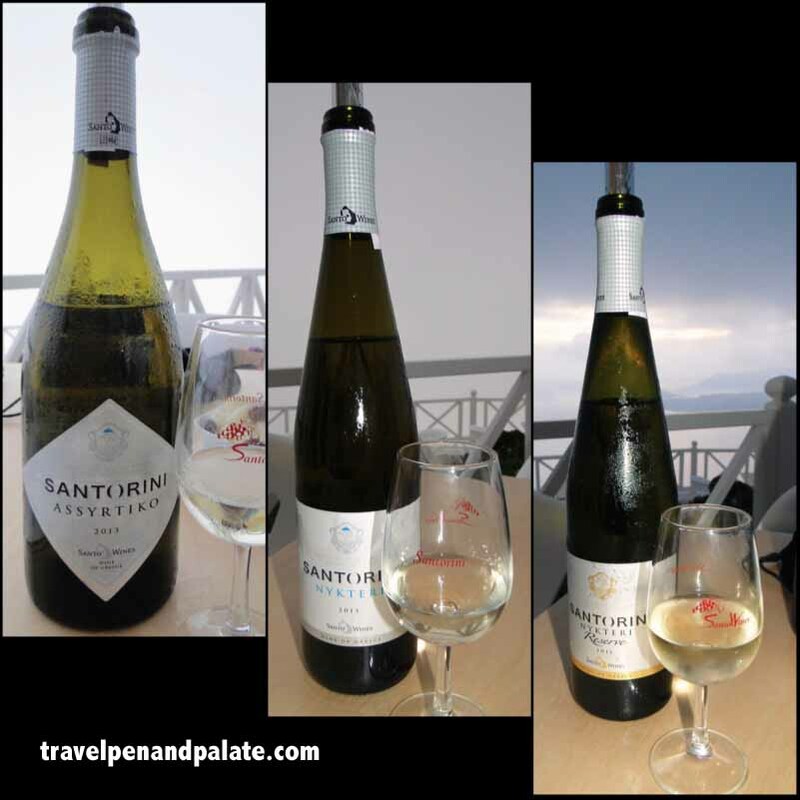 All of Santorini’s climate limitations have maximized the quality of its vineyards. 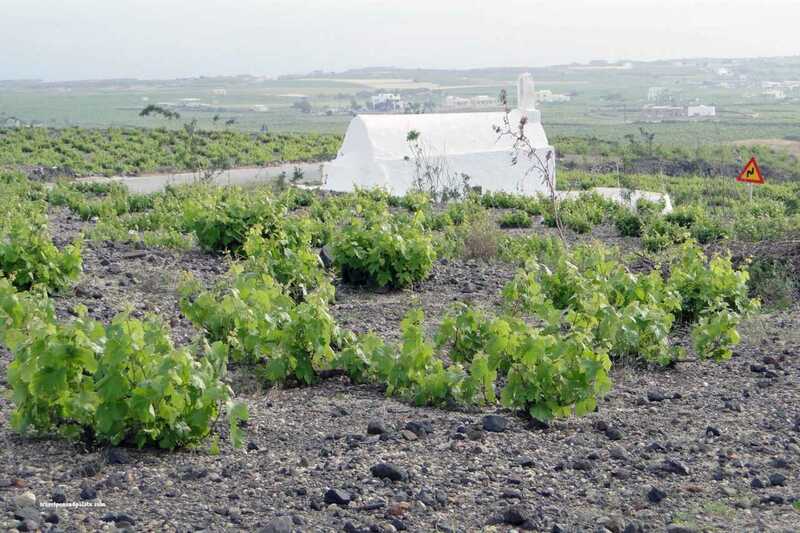 According to Stella, the dry volcanic soil’s “intense minerality, low ph, high acidity and salinity” directly contributes to producing the dry whites for which the island is famous. The vineyards themselves look different from most others on Earth. The kouloura is the unique way of pruning the grape vines to keep the round shape of a basket-like circle. The grapes grow into the “basket,” protected from the strong winds and the hot sun. Hugging the ground, the vines absorb the night mist and draw more efficiently on the ground’s precious moisture. Santo Winery, constructed in 1992, uses the pezoule system to take advantage of the natural slopes of the cliffs. This allows the must and the wine to be transferred from one level to the other through gravity, minimizing the use of pumps. The volcanic cliffs maintain an ideal temperature for wine production making air conditioning unnecessary. The dominant grape varieties are the indigenous white assyrtiko (85%) athiri and aidani (10%) and the red grape mandilaria (5%). 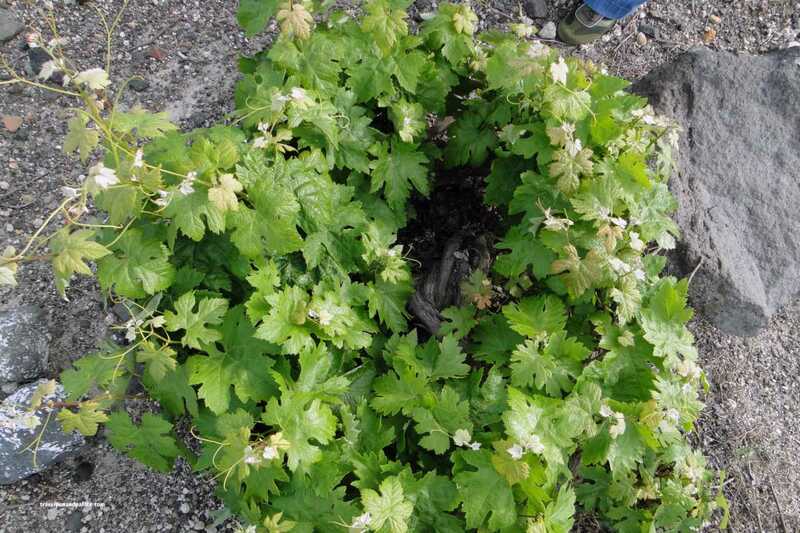 The indigenous marvrotragano grape, a sweet red variety, nearly went extinct but is making a comeback. French oak casks, an expensive process that nonetheless imparts distinct flavor notes whether white or red, are used for aging. Assyrtiko 2013 with a nose of honey and citrus peels continued the citrus notes in the mouth with a distinct hint of grapefruit. Its mild acidity was upfront leaving a pleasant dryness. It would pair well with fish and vegetarian dishes. The Assyrtiko Reserve 2010, aged in oak one year, had a floral nose with hints of honey and more body than the 2013. In the mouth it had a smooth dry herbal taste and would pair well with any food flavored with rosemary. The 2011 Assyrtiko Grand Reserve, aged in oak for one year and in the bottle for one year, had surprisingly light, almost undetectable aroma in the nose and yet complex citrus notes on the palate with the oak lingering in the back of the throat. It would be terrific with any grilled fish, seafood and mushroom or pork dish. Santorini Nykteri, aged a minimum 3 months in oak by law, is a popular, dry, high alcohol blend of 75% assyrtiko, 15% athiri, 10% aidani. At first sniff there was almost no aroma and then citrus hit like a jolt. As the mouth savored the yellowish wine, hints of cloves, flowers and citrus were revealed in succession. The Nykteri Reserve 2011, aged in oak for nine months and in the bottle for three, continued the light nose but released a hint of pears. In the mouth mild grapefruit and oak notes were detected. Although slightly higher in alcohol content than most whites, both were light in acidity. 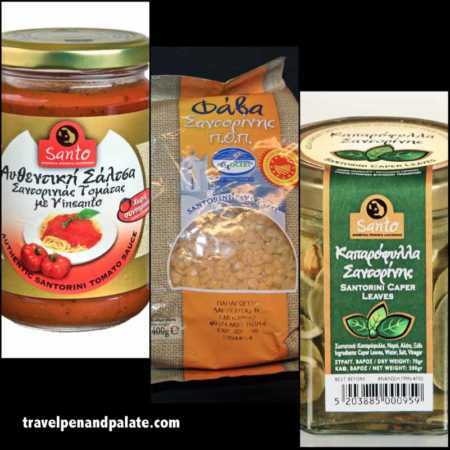 They’d pair nicely with mezedes – Greek small plates – and mild cheeses. “The humidity and mist keep the island from being a desert,” Stela Kasiola. Red varieties included Crescendo 2012, a blend of mavrotragano, voudomato and mandilaria grapes. Its smooth, semi-dry warm notes of mature late summer berries and its mild tannins make it a good wine for grilled meats, prosciutto and tomato sauced pastas. A 100% Marvrotragano, aged 18 months in oak, had a distinct nose of toasted wood that lingered in the mouth along with blackberries. It would pair well with roast game, grilled lamb and hard cheeses. Kamenh 2010 is made from sun drying mandilaria grapes for 2 days before crushing then aging 12 months in oak. It has a nose full of lightly charred oak, tar and coffee beans. In the mouth there were notes of oregano. Like the other reds, grilled meats, game, and strong cheeses would work well with Kamenh. Santo Wines has produced the first sparkling assyrtiko, Santo Brut has a distinct nose of honey and a light but dry acidity that makes the back of the mouth salivate. The mouth detects notes of aromatic flowers, mild herbs then lemon peel. It makes a fine aperitif or would pair well with rich seafood such as lobster and crab. 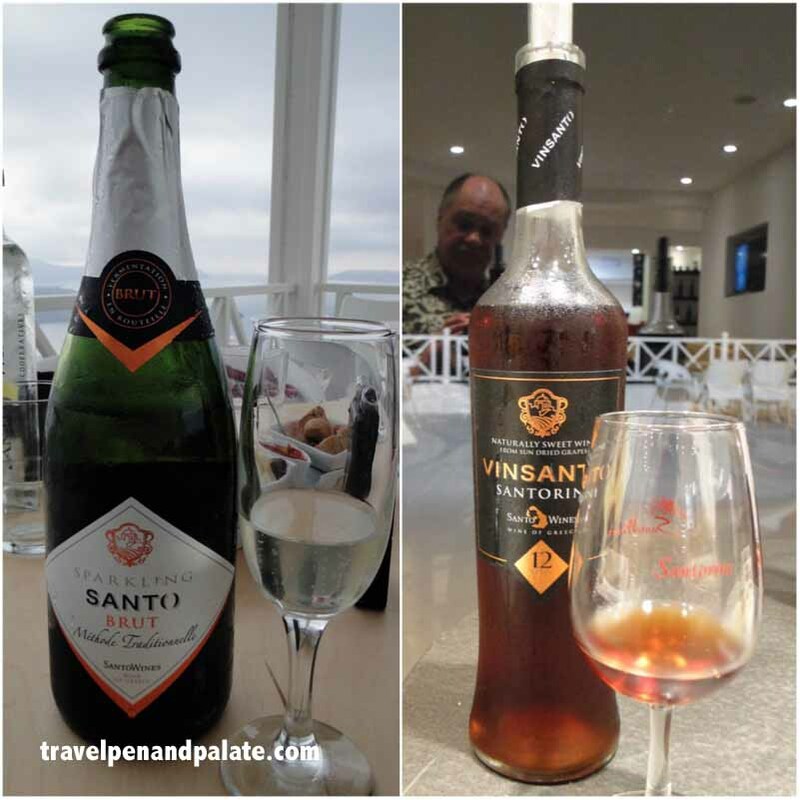 For dessert, Vinsanto is one of the Mediterranean’s premiere wines. An ancient wine that spread throughout the region during the medieval era of Venitian power, Vinsanto is a blend of 85% assyrtiko and 15% aidani grapes. But its unique flavor comes from sun drying the grapes for two weeks before mashing and then aging in oak from three to 20 years. The result is a rich, smooth, deep amber wine with a nose of raisins then lemons that continues in the mouth. The older the Vinsanto, the more intense the flavors with caramel and butterscotch notes in longer aged varieties. They pair well with honey and cream based desserts, nuts and cheese. Santo Wines Oenotourism Center hosts over 300,000 visitors a year. Its shop carries Union of Santorini Cooperatives food products plus all the wines. Tastings, while either sitting on the multi-level terrace or inside the attractive glass walled cafe, follow tours of the winery. Reservations can be made on line. 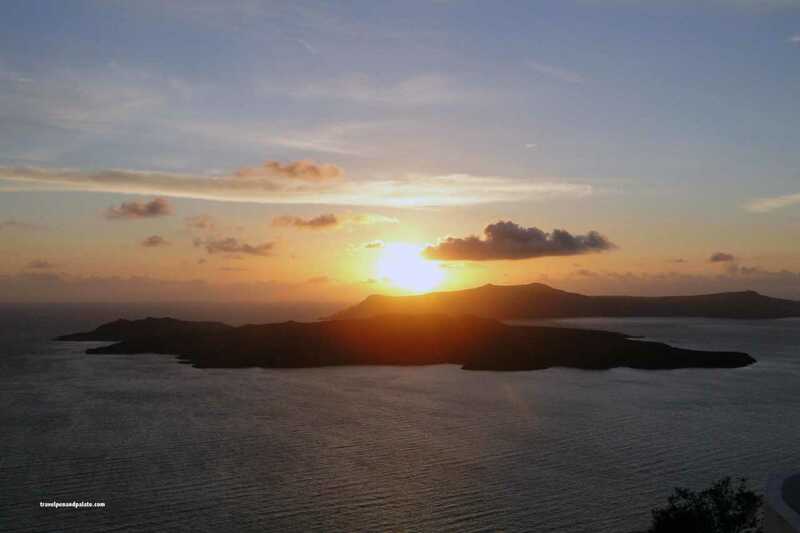 It is a great way to enjoy the view, especially Santorini’s sunsets. When you go: Santorini is easily reached by air through Athens or by ferry service from Pireaus (port for Athens). I recommend the comfortable ships of Blue Star Ferries. Disclaimer: The author was a guest of Santo Wines. Arrangements were facilitated by the MTCgroup.